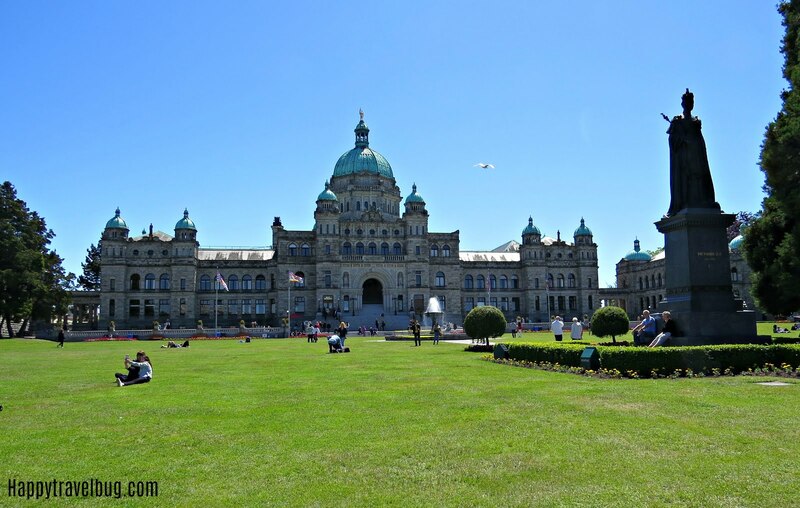 Fifteen years ago I was on an Alaskan cruise that stopped briefly in Victoria, Canada. Let’s just say I picked the wrong excursion and we didn’t get to see anything that I wanted. I said if I ever got the chance I would come back. Well I finally got the chance this month. 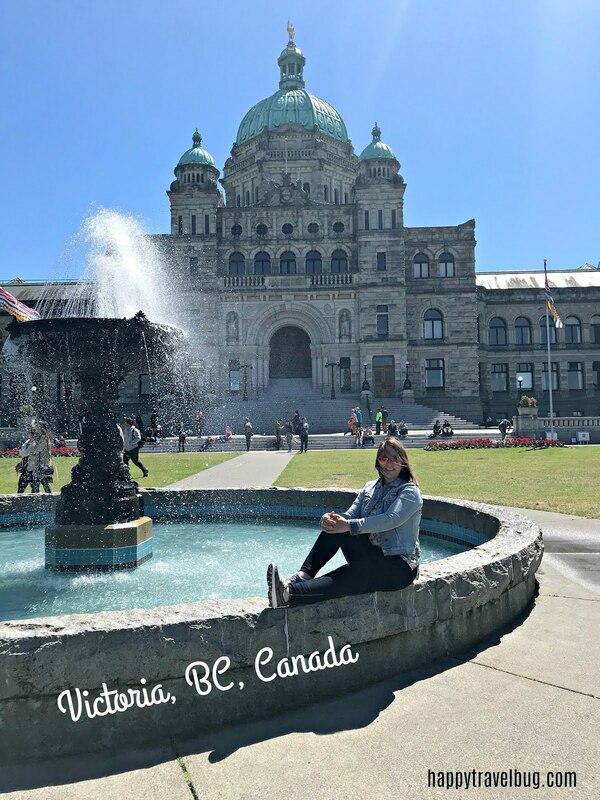 We were on vacation in Vancouver and they had a day trip to Victoria that sounded like just what I wanted. We started off on a bus at Canada Place. Then there was a 40 minute or so drive to catch the ferry. The ferry ride lasted an hour and a half. 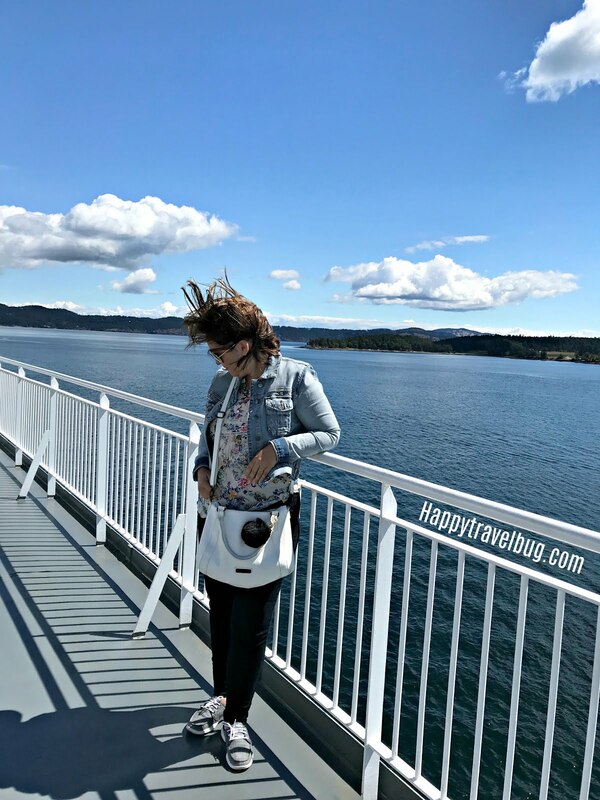 That’s me on the ferry…it was very windy. The views were beautiful though and on the ride back in the evening there was a fairly decent buffet dinner. 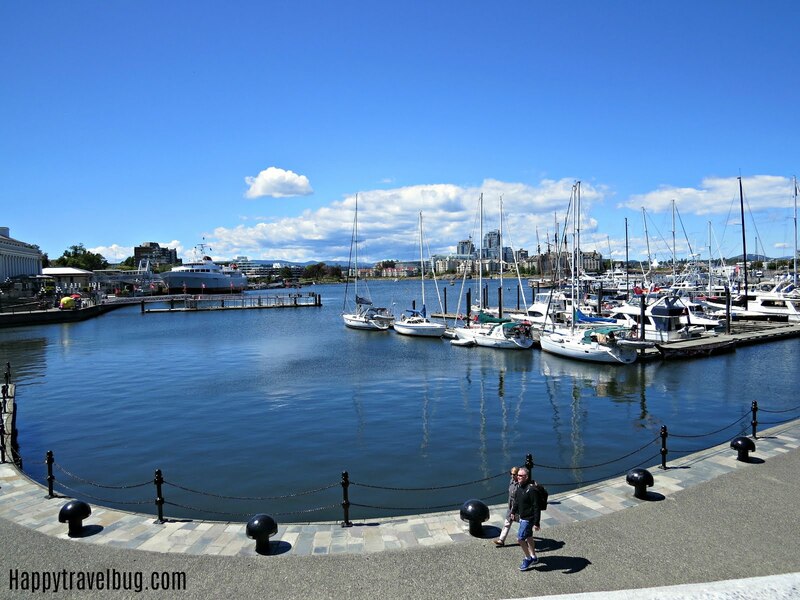 (extra $$) After the ferry arrived on Vancouver Island, there was another 30 minute drive to Victoria. By the time we had lunch, we only had a couple hours to explore before we left for Butchart Gardens. My recommendation is that you take a seaplane if you have the funds. It cuts off a ton of travel time. 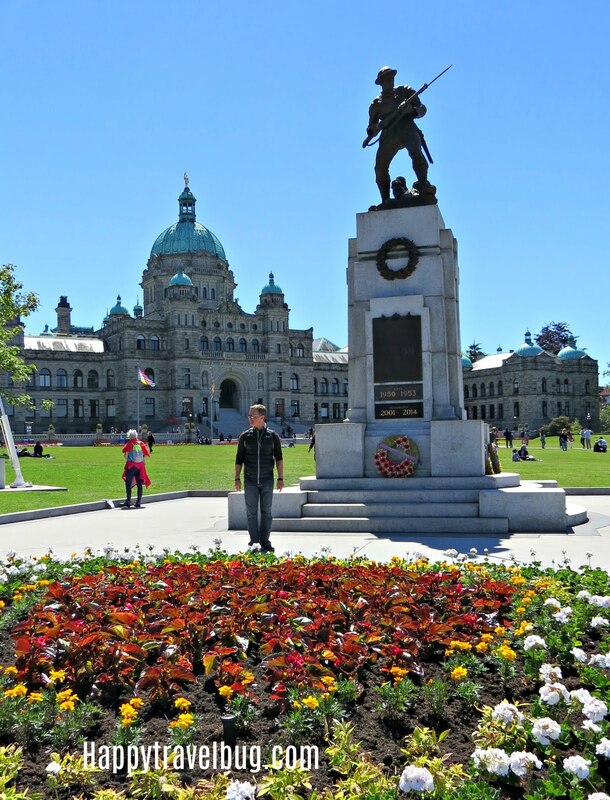 Victoria is a very walkable place. 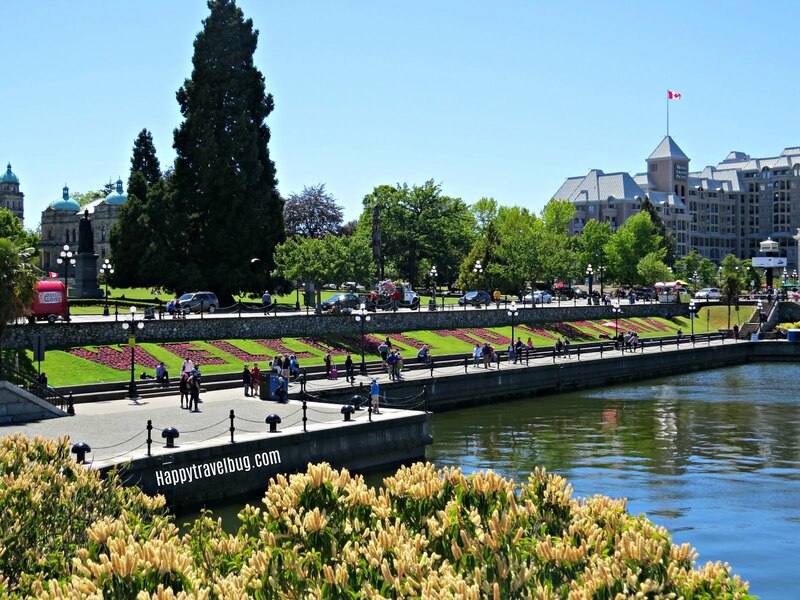 The main hub is this waterfront area in front of the Parliament building…my favorite! We had lunch overlooking the harbor at Nautical Nellies. I would recommend it…friendly staff, outdoor seating, good food. 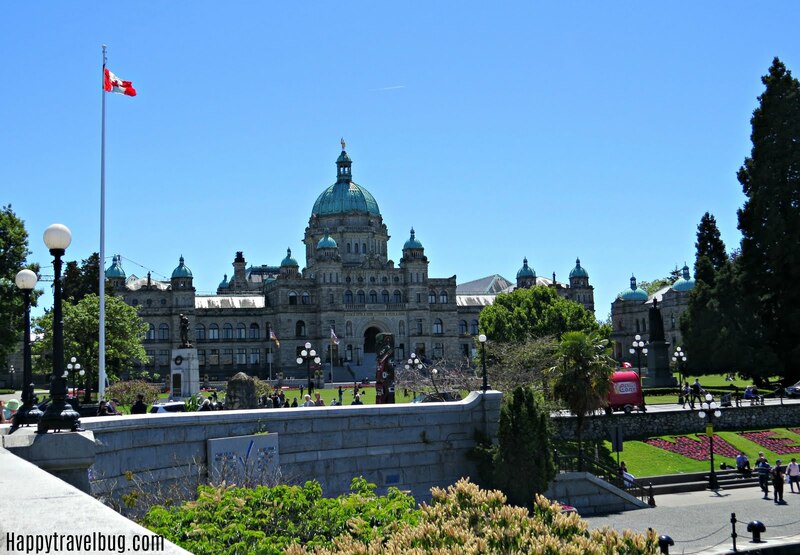 Now on to my favorite part of this area and an icon for Victoria, the Parliament building. In case you haven’t guessed, I love this building! I’ve always been a fan of architecture. My brother, who works in that industry, and I have that in common. 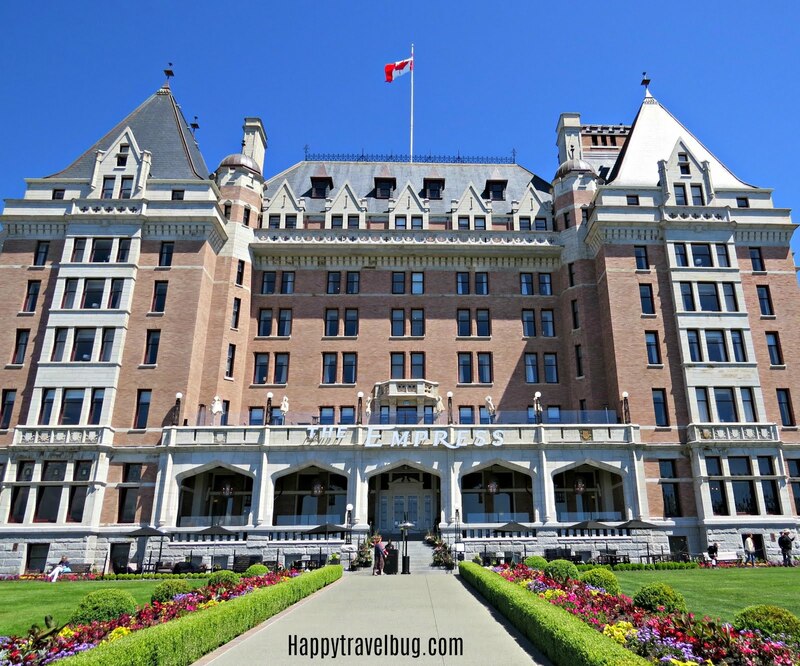 Another lovely building in this area is the Empress Hotel. We didn’t have time to go inside either of these buildings. Saving that for my next visit I guess. The last part of Victoria we were able to see was Chinatown. 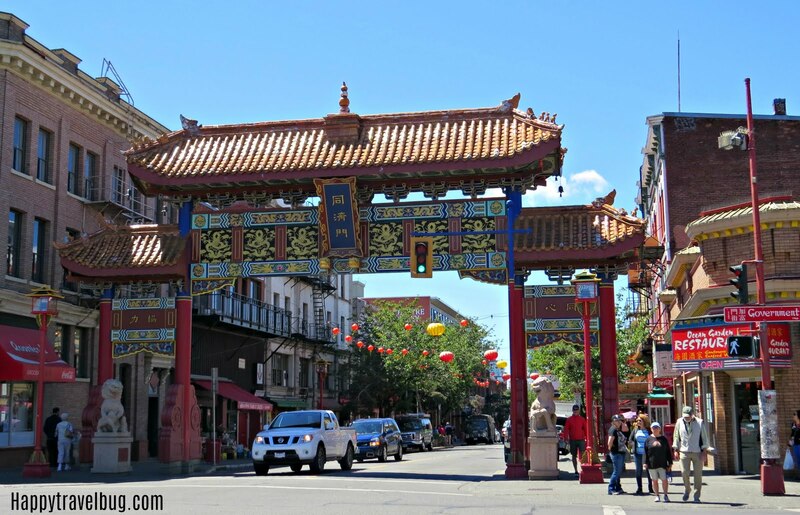 After a lovely walk down Government Street, where we bought a Fjallraven backpack for our daughter and got the coolest dipped ice cream at Chocolats Flavoris, we arrived at the gates of Chinatown. 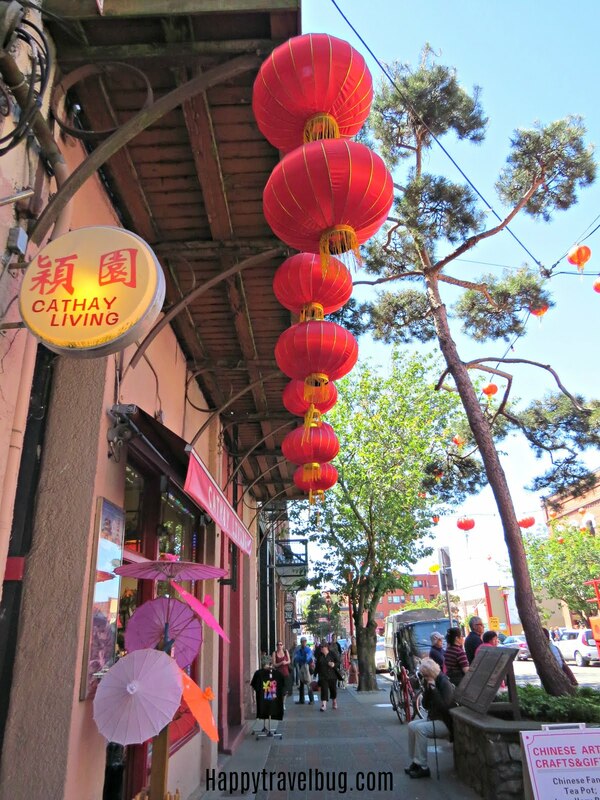 It is a dream of mine to travel to China, but until that time comes, I will enjoy visiting Chinatowns to get a tiny taste of the real thing. 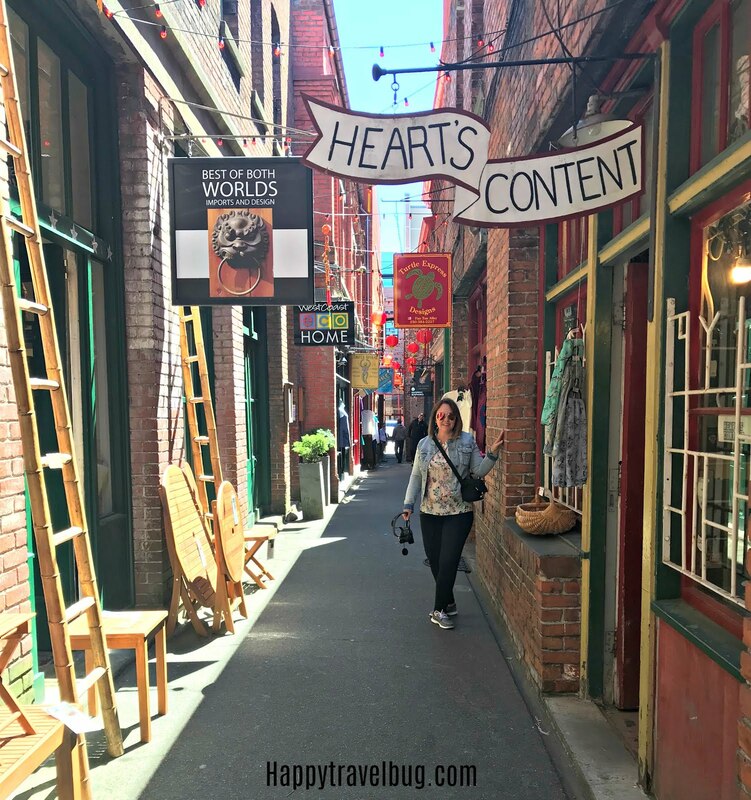 As documented by the Guinness Book of World Records, Fan Tan Alley is the narrowest street in the country and a popular place to walk in Canada’s oldest China town. Of course I had to walk down it myself. Very quickly though, because we had a bus to catch to Butchart Gardens. 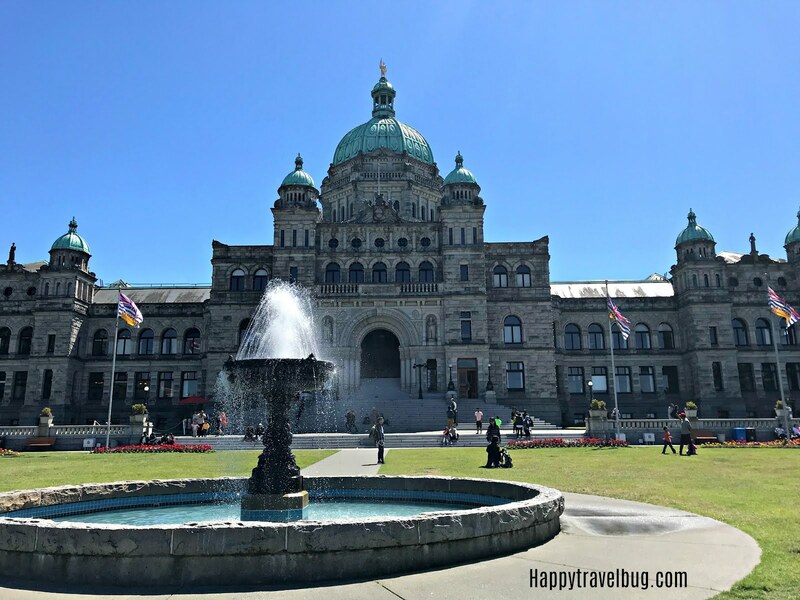 Have you ever been to Victoria, BC? I am left again wanting a little more time there. Hopefully I will have the chance to get back before another 15 years passes. Happy travels! This post is linked to Our World Tuesday. Click here to see all the other great travel posts.